Category: Flash, Mac, Online, PC. Tags: Cute, Easy, Horse competitions, Kids, Pony. 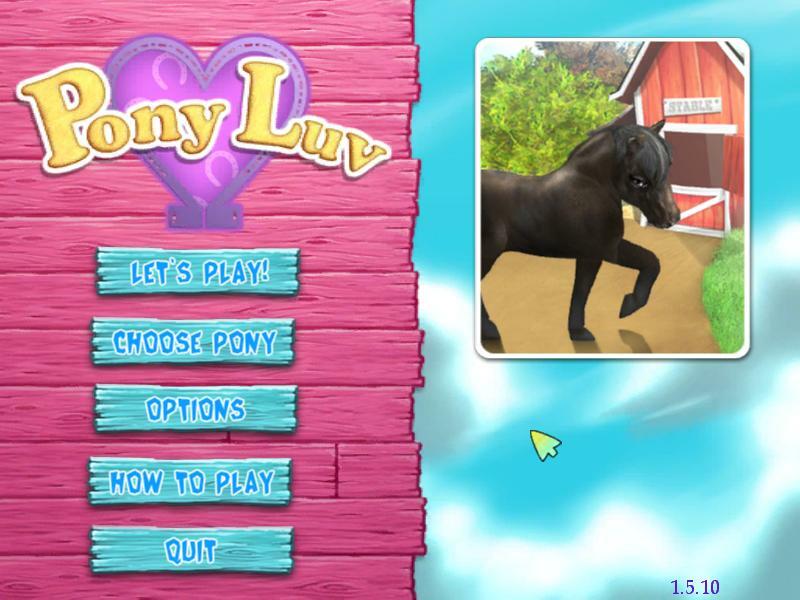 Pony Luv is fun and cute game aimed at a younger audience. 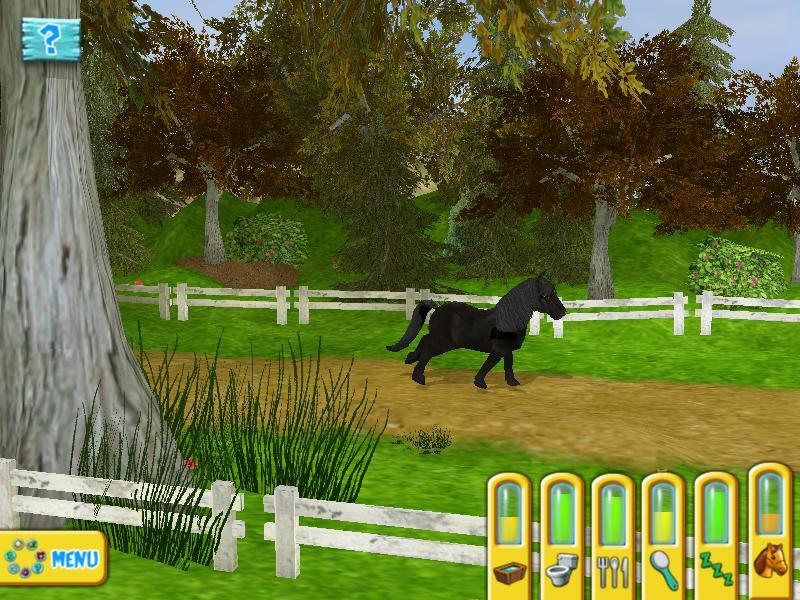 So if you like challenging horse games, this is nothing for you. 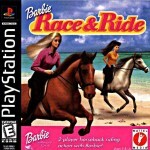 The graphics are OK, with cute horse, but there isn't all that much to do when you play the game. You can go out and walk with your horse, do grocery shopping and collect water for your horse, or even compete in pretty simple competitions. But that's pretty much it. The game is not totally free, but you can try it out for only 1 hour. To play the full version you have to pay and then download the whole game. 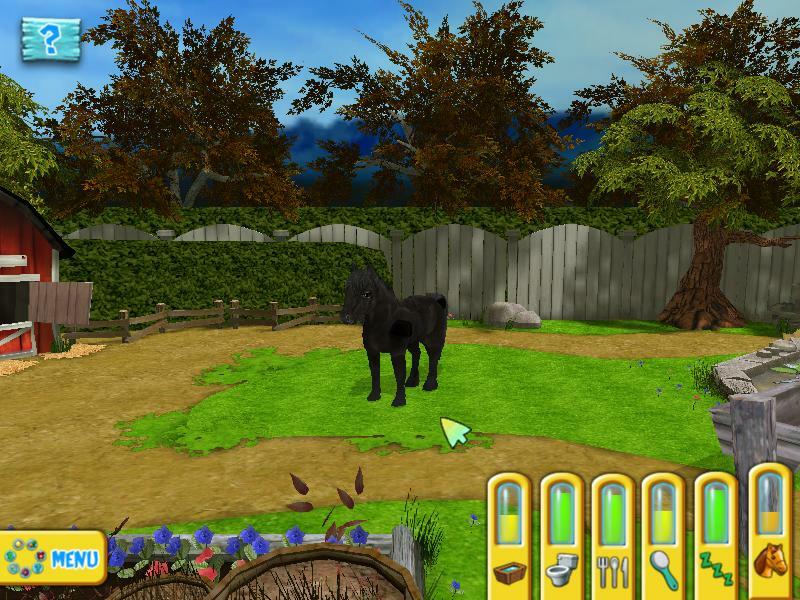 If you are looking for a simple horse game, this one is pretty cute. Good game for beginners. Although I think anyone could play it. Cute graphics.